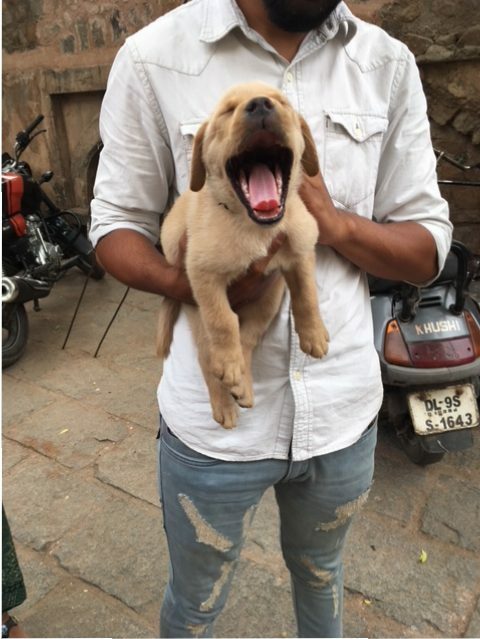 There are quite a few stray dogs in India, but this sleepy little pup has an owner. Ghandi Smirti. 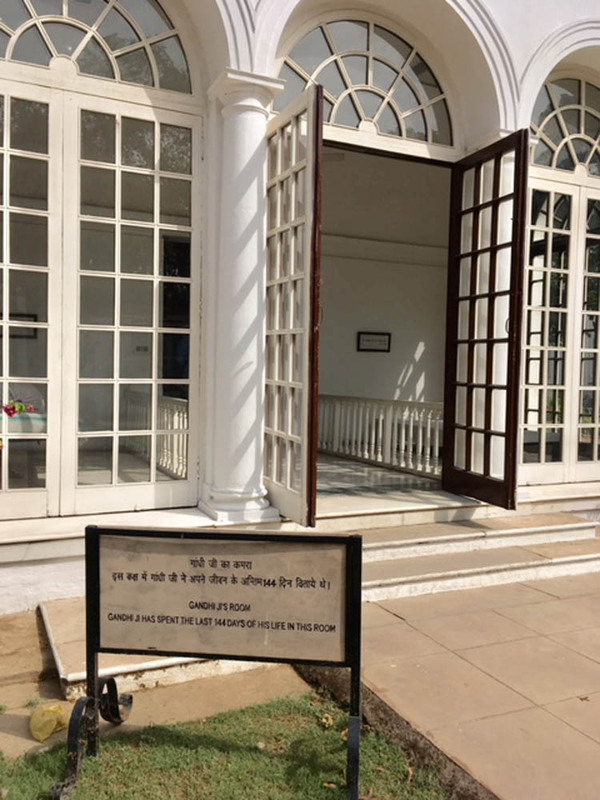 This is where Ghandi spent the final days of his life and was assassinated. 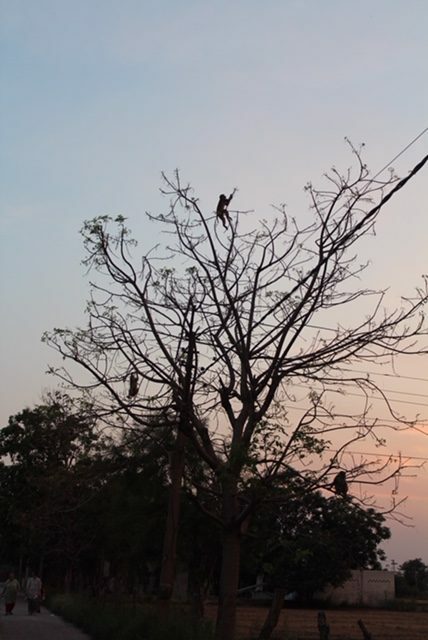 Monkey silhouettes in a tree. Travel tip: don't make eye contact with monkeys: it's seen as an act of aggression. A beautiful view at the Haus Kaus ruins. 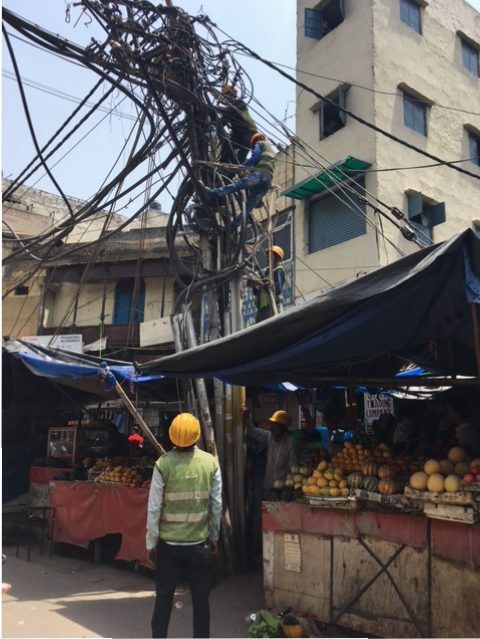 Looks like safety standards aren't quite the same in India! 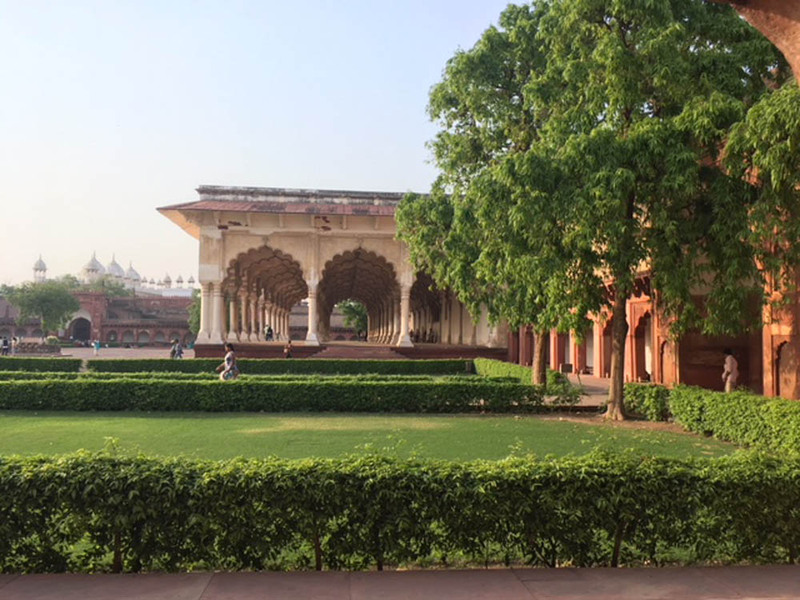 At the historic Red Fort in Agra. 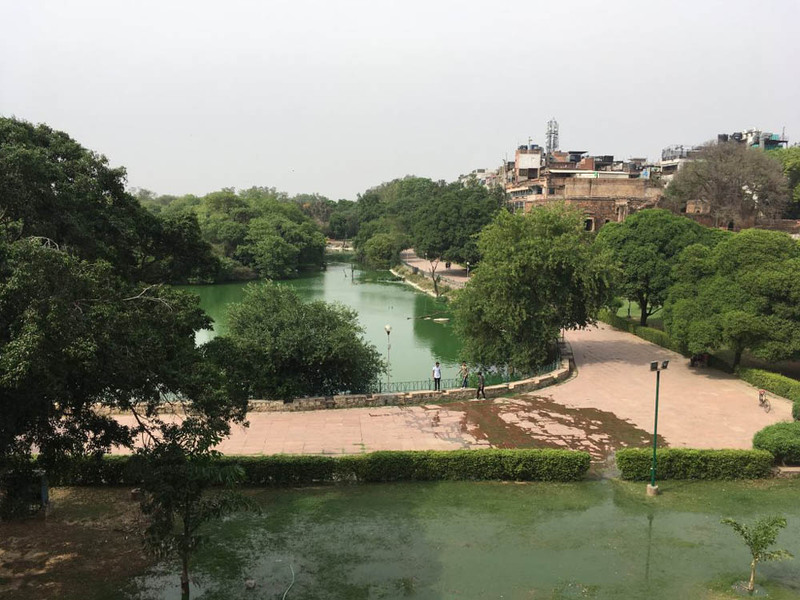 This site was the main residence of the Mughal emperors. 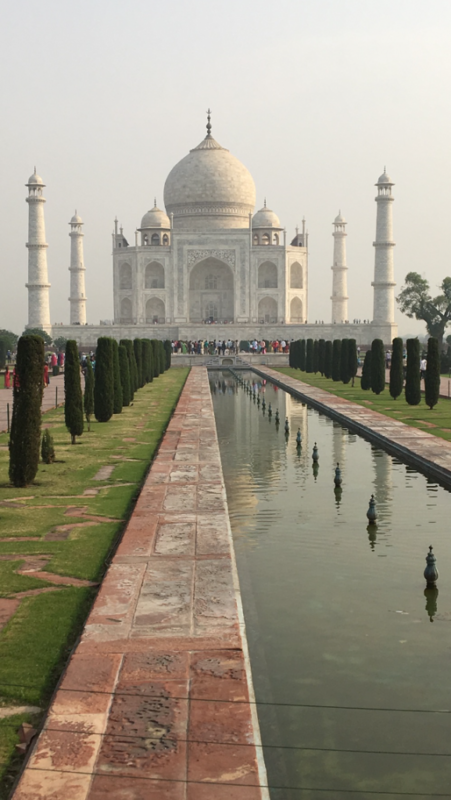 The Taj Mahal was built as an eternal resting site for Mughal Emperor Shah Jahan's wife Mumtaz Mahal. 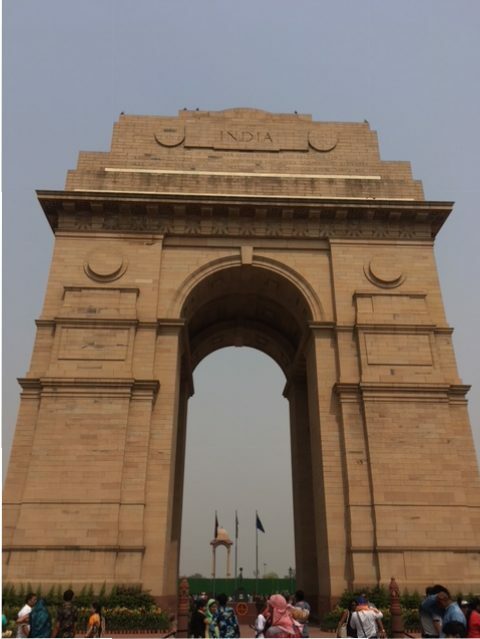 India Gate is a war memorial in Delhi. It is a part of the work of the Imperial War Graves Commission. 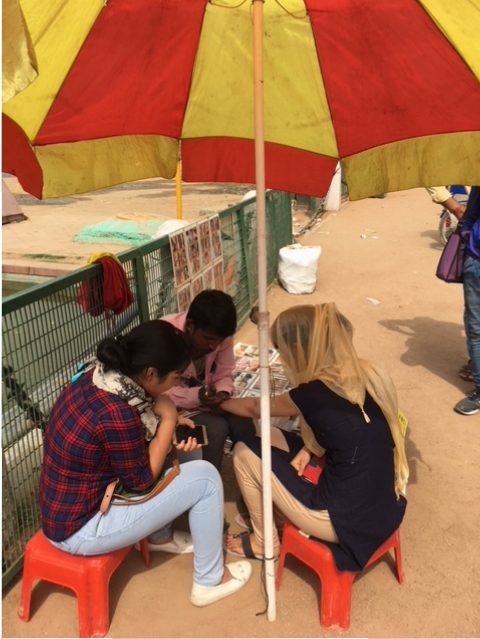 Someone getting a tattoo beside India Gate. 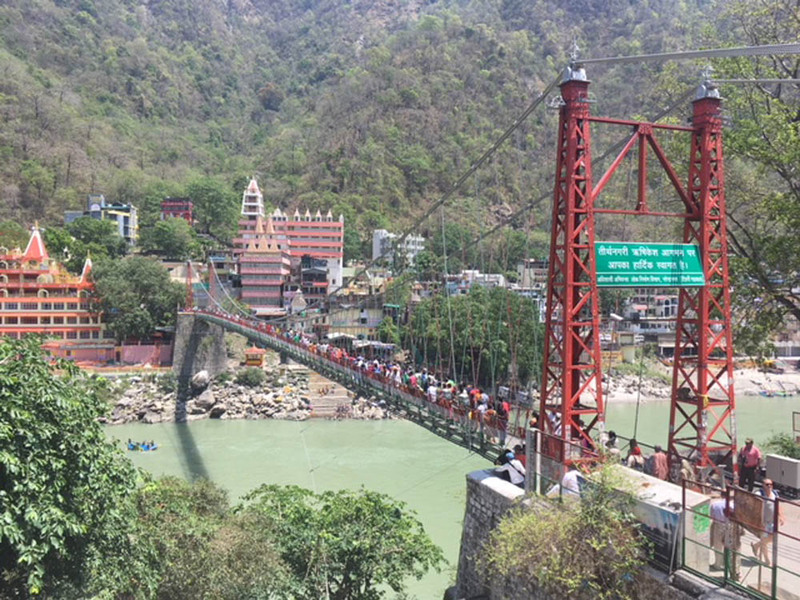 Bridge to cross the Ganga in Rishikesh. Even though the bridge narrow, motorbikes, scooters, monkeys, bulls and cows will all cross at the same time. 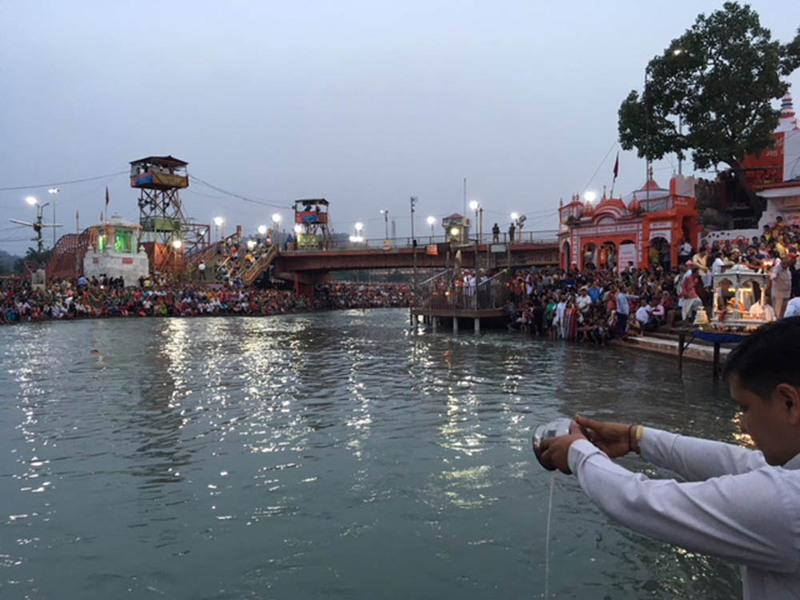 Aarti (Hindu religious prayer) on the Ganga in Haridwar. Har Ki Pauri, the famous ghat we were at, is a pilgrimage site for many Hindus. 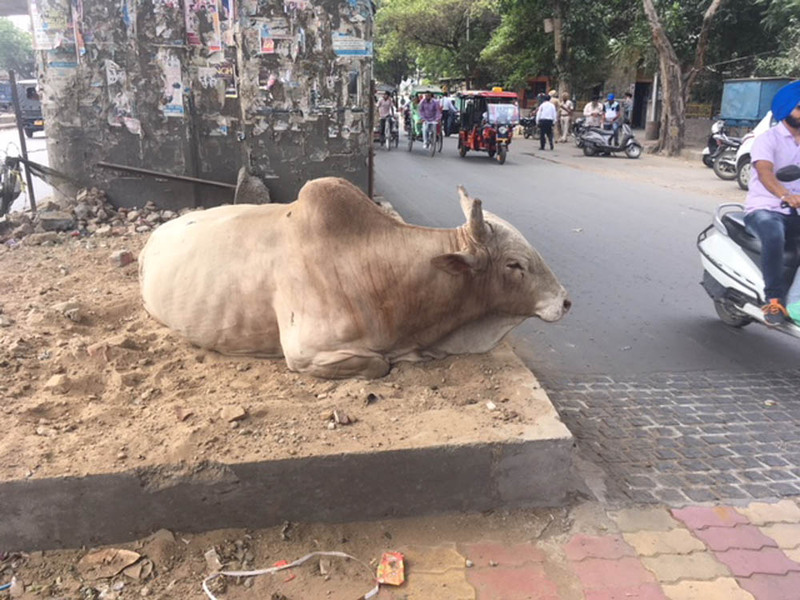 The bulls and cows roam and lounge wherever they wish! The Golden Temple, the most sacred site for Sikhs. 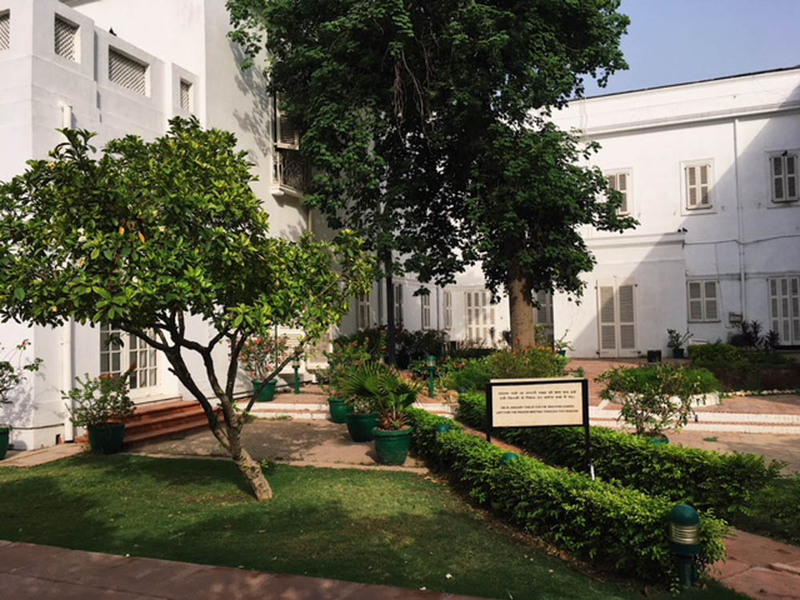 The site of the Jallianwala Bagh massacre. 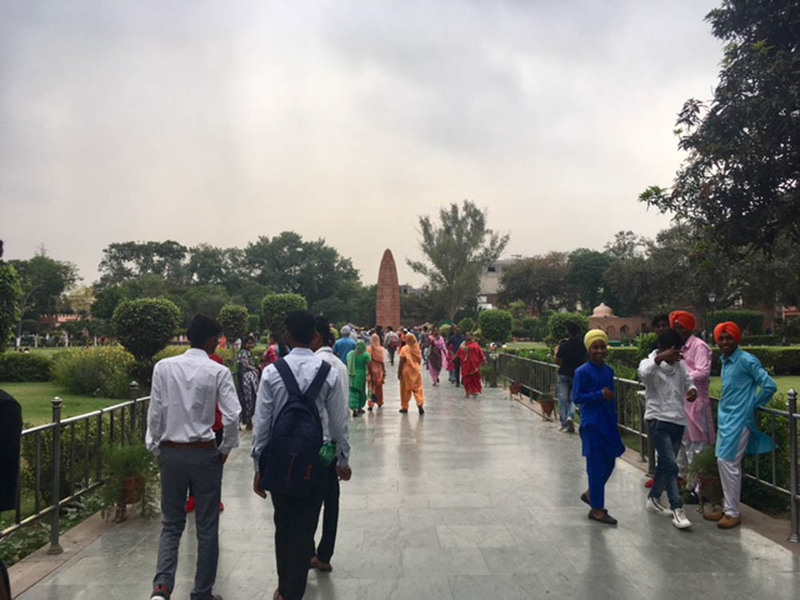 On April 13, 1919 troops of the British Indian Army fired rifles into a crowd of Indians, who had gathered in Jallianwala Bagh, Amritsar, Punjab. A memorial can be seen in the distance of this photo. 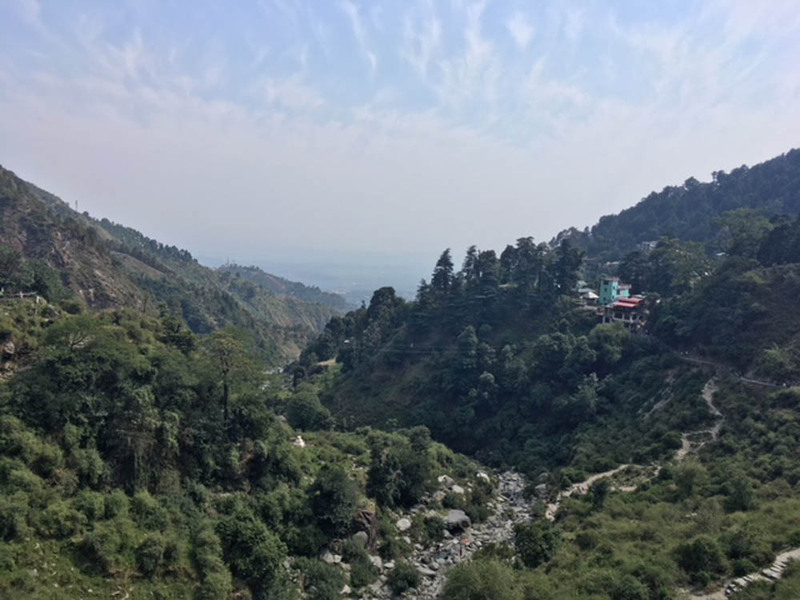 The view from the top of a mountain in Dharmsala. 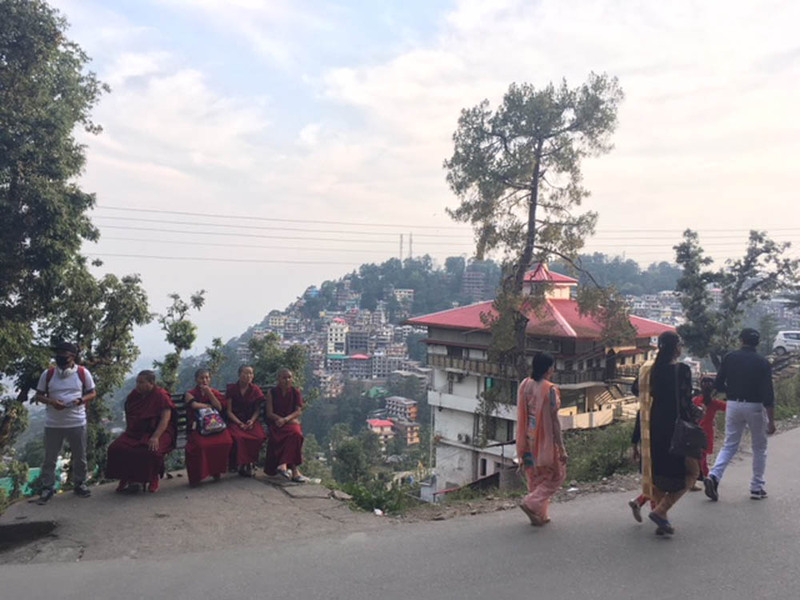 Dharmsala, a hub of the Free Tibet Movement, is home to many Tibetan refugees and has a large Buddhist population. India is a vibrant, colourful country with culture around every bend. I was incredibly lucky to have the opportunity to visit and photograph the people, scenery, animals and architecture on the 2018 MRU India Field School. India is home to 1.35 billion people (compared to Canada’s 36.95 million). The majority of the population practices Hinduism. Islam, Sikhim, Jainism, Buddhism, Christianity and other religions are practiced by many. Several of the places photographed have religious significance. The Golden Temple in Amritsar is the most important holy site for Sikhs and is a pilgrimage destination for many. The temple is home to the Granth Sahib, a book known by Sikhs as a ‘guru.’ Because it is such a popular site, we had quite an intense experience. Packed like sardines, we waited in line for over two hours! The immaculate detailing of the ceiling, walls, floor and ceremony inside were almost impossible to process in the short amount of time we were inside. 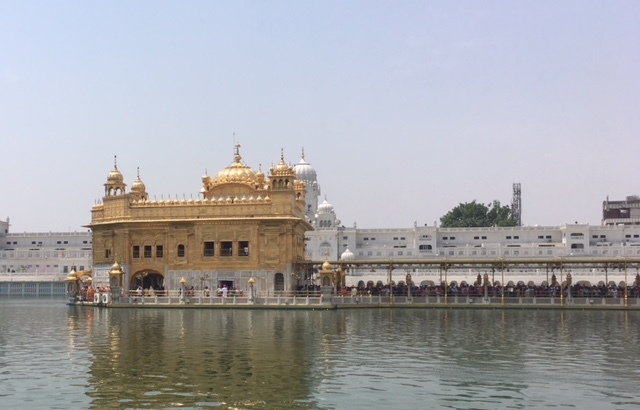 Above is a photo gallery of vibrant India, including a shot of the Golden Temple.